ACCORDING to a media report last week, the Malaysian government will be launching the new National Anti-Corruption Plan 2019-2023 (NACP) on Jan 31, 2019. 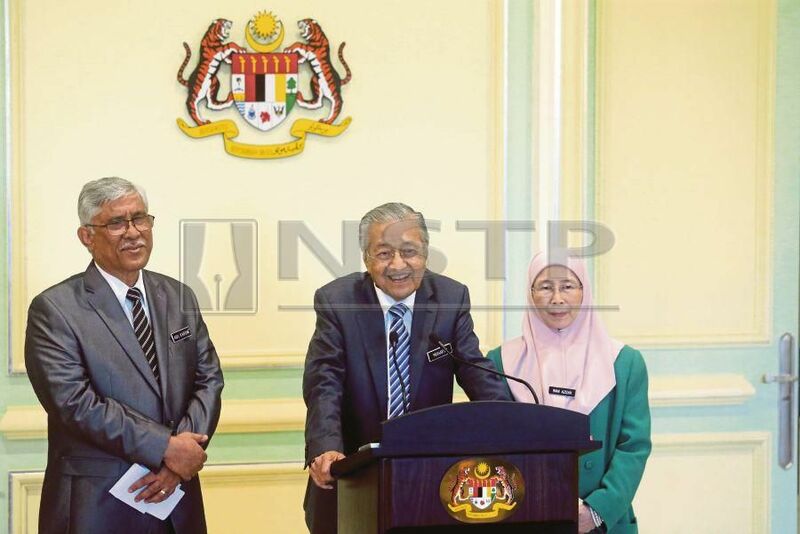 Governance, Integrity and Anti-Corruption Centre (GIACC) director-general Tan Sri Abu Kassim Mohamed was quoted as saying that the plan contains “several policies and key elements,” including the Pakatan Harapan government’s manifesto to fight corruption. “When the NACP is launched, we will have over 100 initiatives, all of which will close off any channel and opportunity for anyone to be involved in corruption,” he added. GIACC itself is a new body, established in June this year in fulfilment of an election pledge. A statement by the Prime Minister’s Office said there will be no overlap by GIACC and existing agencies looking into governance, integrity and anti-corruption as the latter will be “restructured or disbanded”. Four existing agencies (the National Integrity and Good Governance Department, the Malaysian Institute of Integrity, the Public Complaints Bureau and the Enforcement Agency Integrity Commission) will be placed under GIACC. The Prime Minister’s Office explained that Abu Kassim was appointed to lead GIACC in view of his wide experience as “a top anti-graft buster,” his exemplary service as chief commissioner of the MACC as well as a member of the 1MDB special task force. It should also be mentioned that apart from GIACC, the government had also established a special Cabinet Committee on Anti-Corruption. A news portal stated in June 2018 that all ministries were required to submit to GIACC a report identifying “at least three weaknesses” in existing laws, policies or regulations. It also said that the government is drafting a law to provide “punitive action against officials” who deliberately caused leakage or wastage of government funds. Looking back at the events of these past six months, many regard the launching of NACP next year as a logical and vital follow-up to the setting up of GIACC and the cabinet committee. Many are now looking forward to the details of the plan. Many Malaysians may not be aware that over a decade ago (in September 2008), we had ratified the United Nations Convention against Corruption 2003 (UNCAC). The question that comes to mind now is this — after 10 years of ratifying UNCAC, have we been able to fulfil its objectives? According to the Transparency International’s (TI) Corruption Perception Index (CPI), our position over the last three years is as follows. In 2015, we ranked 54th out of 168 countries, scoring 50 out of 100. In 2016, we ranked 55th among 176 countries, with a score of 49. In 2017, we ranked 62th out of 180 countries, with a score of 47. The index uses a scale of 0 to 100, where 0 is highly corrupt and 100 is very clean. A score of 47 is not something we can be proud of; we can certainly do better than that. States with the highest ranking are New Zealand (89 points) and Denmark (88 points), followed by Finland, Norway and Switzerland (85 points). TI-Malaysia president Datuk Akhbar Satar explained that Malaysia dropped two points (from 49 in 2016 to 47 in 2017) “because of issues surrounding several high-profile cases”. UNCAC, which is a legally binding document, requires state parties to implement the following measures —prevention, law enforcement, international cooperation, asset recovery, technical assistance and information exchange. It encourages but does not strictly require state parties to criminalise bribery of foreign and international public officials, trading in influence, abuse of functions, illicit enrichment, private sector bribery and embezzlement, and the concealment of illicit assets. In addition, it requires state parties to simplify rules pertaining to evidence of corrupt behaviour by ensuring that obstacles that may arise from the application of bank secrecy laws are overcome. As for law enforcement, UNCAC calls for better cooperation between national and international bodies and with civil society. There is a provision for the protection of witnesses, victims, expert witnesses and whistle blowers to ensure that law enforcement is effective. On asset recovery, the UN Convention provides the framework for tracing, freezing, forfeiting and returning funds obtained through corrupt activities. A requesting state will receive the recovered funds as long as it can prove ownership. In some cases, the funds may be returned directly to individual victims. To conclude, the legal infrastructure for graft-busting is all here before us — a legally-binding UN Convention, a wide array of national laws on corruption, embezzlement, money laundering, enforced by a strengthened national anti-corruption body (MACC) and supported by other enforcement agencies. Most recently we had the cabinet committee, GIACC and by next year a brand new NACP. We are more than adequately armed to take the fight to the next level. Yes, both the hardware and the software are in place. What we need is to ensure a strong “heartware”.